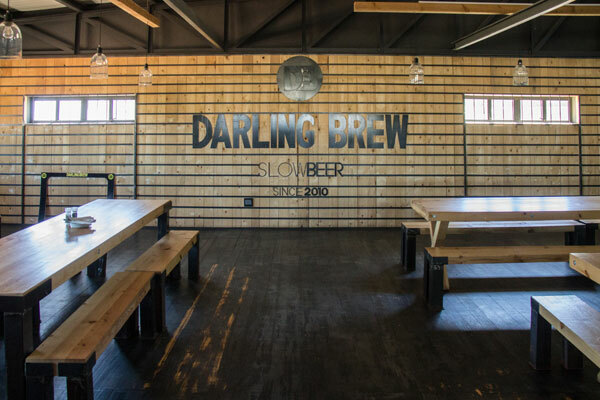 Christine & Warren Bernard recently visited The Darling Brew Tasteroom in Darling on the West Coast Way Culture Route and discovered the new collaboration between The Flying Pig Smokehouse And Darling Brew! 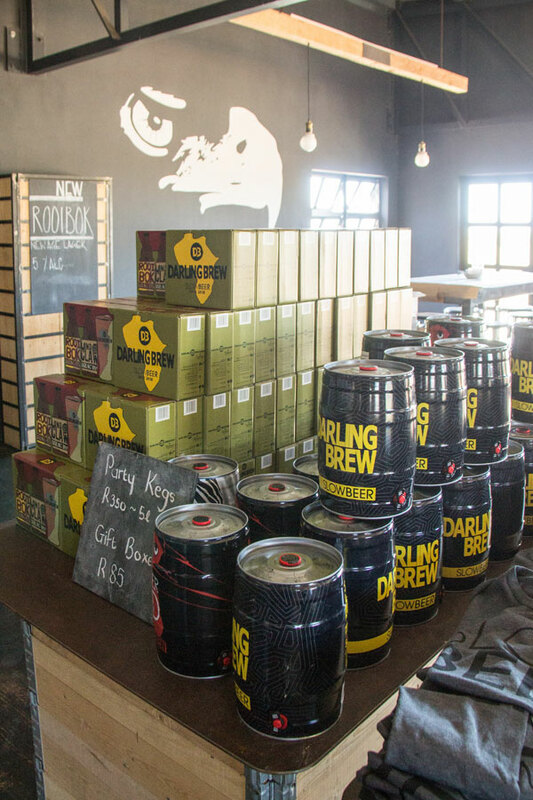 We can’t go to Darling without popping in at Darling Brew. It’s one of my favourite places to visit for lunch. 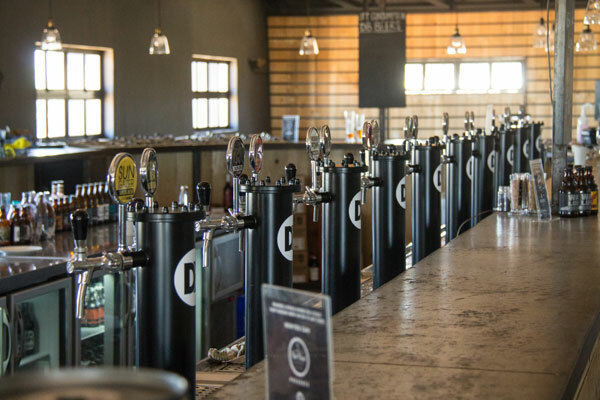 Beer lovers will love sitting inside – a beautiful restaurant overlooking their working microbrewery, but there’s also the choice of a great outside area as well as a section for the kids. We decided to take a visit to try out their new menu, which has only been out for four months. We met Gil, from the Flying Pig, who explained the new menu to us. 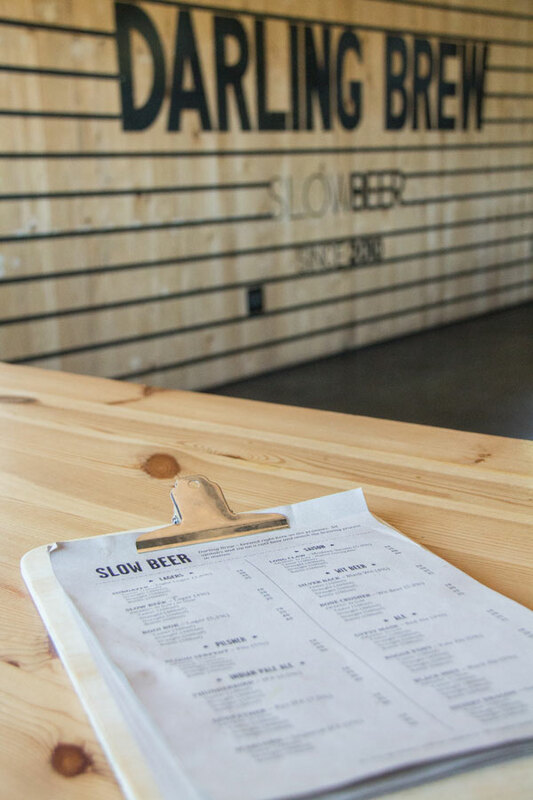 The new menu is a smokehouse delight such as smoked pulled pork and pulled brisket, and each element has been carefully paired with a few beer or wine choices. Everything on the menu is locally sourced from the meat and cheese to the bread. 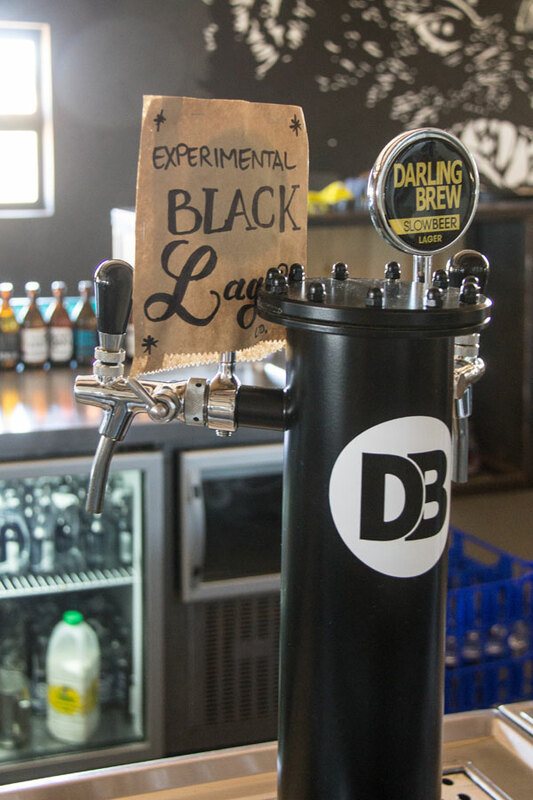 This alone is the epitome of what Darling stands for – a community that thrives on its local culture. 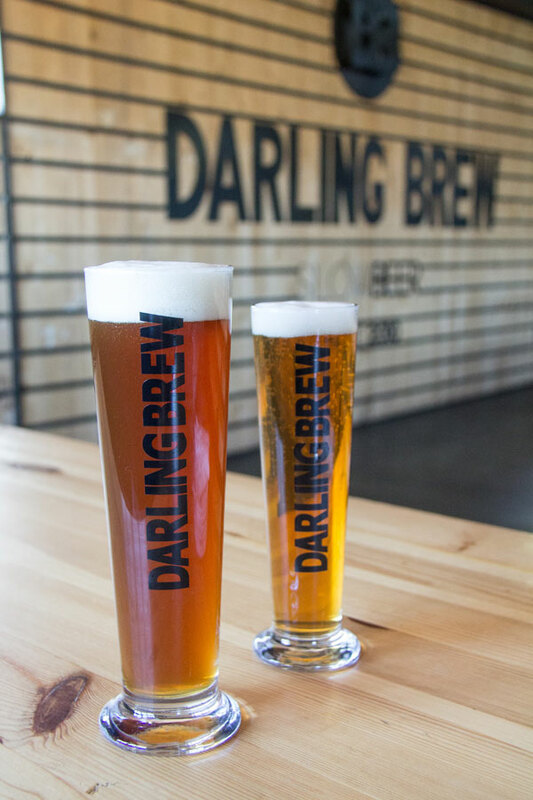 We decided to start off with two of their new beers. 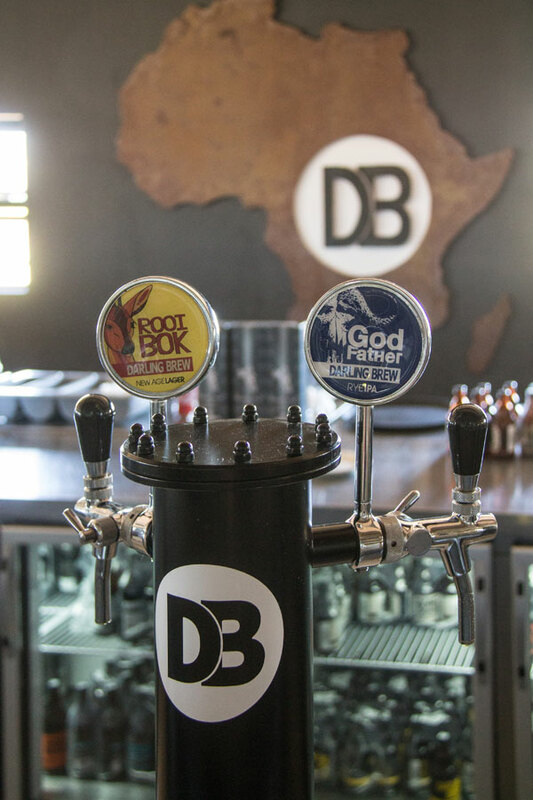 I had the Rooi Bok (a 5.1% lager) which was perfect for me. I’m not as much of a beer drinker as my husband, and this beer was light and easy to drink. Warren went for the Godfather (a 7.5% rye IPA) which he loved. 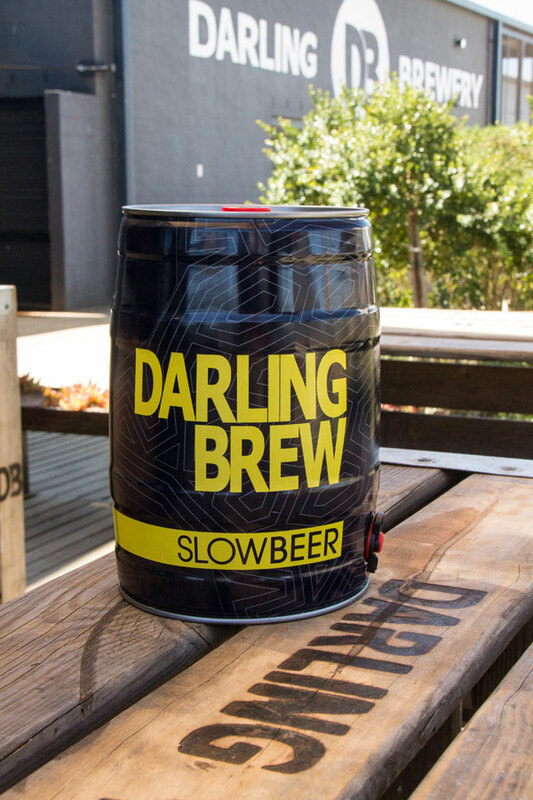 This beer was first launched at the 2017 Clarens Craft Beer Festival. It has a hoppy taste and was a lot heavier than my lager. There is a wide selection of beers on offer so it’s easy to find something to suit your needs, and Warren and I chose well for our tastes. However, if you’re not sure what to get I would recommend doing a tasting of a few before deciding. 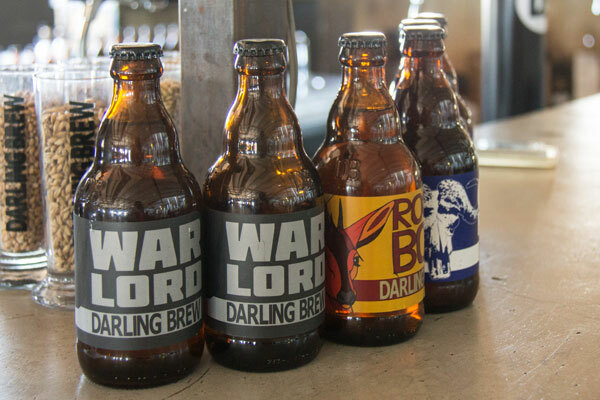 They offer 100ml glasses of all their beers. Choosing something from their menu wasn’t easy. Everything looked amazing. 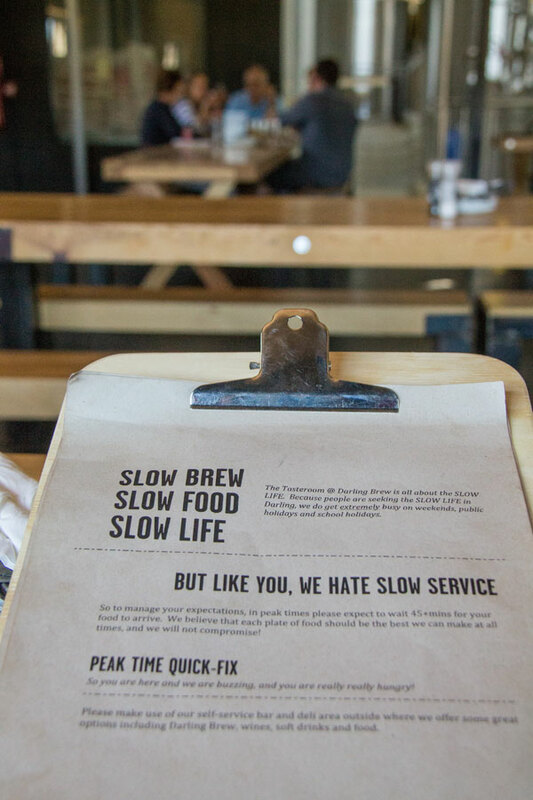 Eventually, Warren went for the Smoked Pulled Beef – 6-hour smoked and 6-hour roasted beef served with gherkins, mustard and slaw on traditional West Coast roosterkoek with fries. 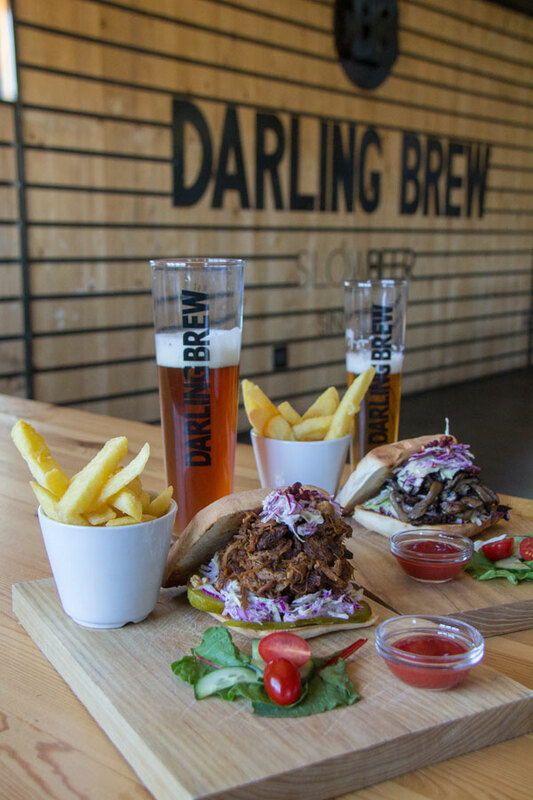 I decided to try out one of their vegan offerings, the Pulled Mushroom – smoked, pulled mushroom served with vegan dressed slaw on roosterkoek and fries. I’m not vegan, but I was impressed that they offered something different from other restaurants. The food was amazing, and it’s pretty obvious that the collaboration with The Flying Pig was a great success. I’m looking forward to going again. I already have my eyes on The Cuban – cured smoked bacon and ham, with cheese, gherkins, mustard mayo on toasted sourdough bread and fries. There are also salads, bagels, and cheese platters to share if you’re looking for something a little lighter, as well as a good selection of coffee and desserts. 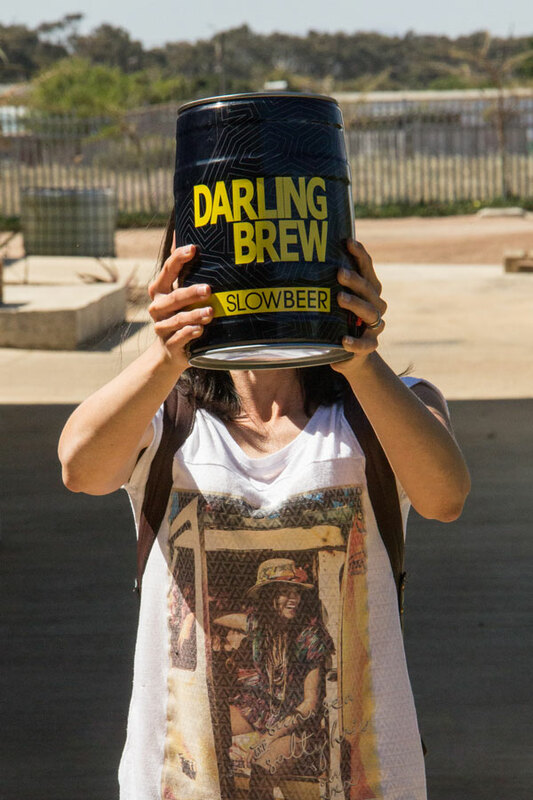 Combine your Darling Brew visit with a West Coast Darling road trip for some wine tasting at Ormonde Wine Estate and a visit to the Darling Museum. Add a West Coast safari with a game drive, archery and a self-guided nature walk at Thali Thali Game Lodge. 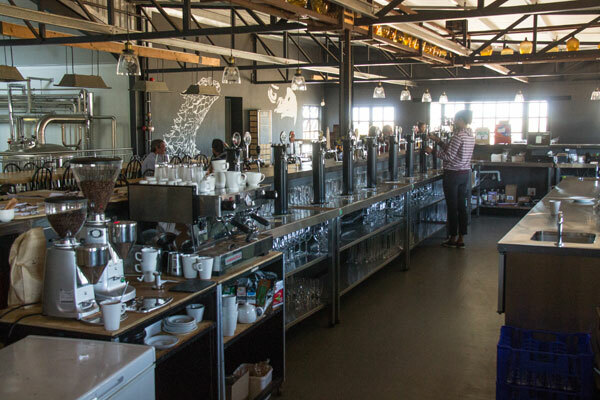 Or turn it into a foodie road trip and visit Russells on the Port for lunch and cocktails overlooking the Port Owen Marina. Visit www.westcoastway.co.za for more information on the best #WestCoastWay experiences. 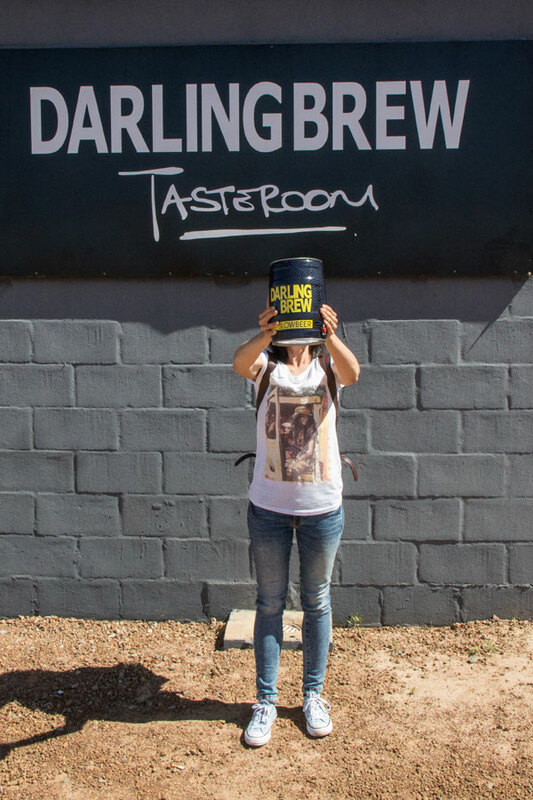 Find Darling Brew Tasteroom & Brewery on the West Coast Way Culture & Foodie Route. School Holidays & Flower Season: Open 7 days a week. They are also open for private functions. The restaurant works on a walk in basis but large groups are encouraged to book. I’m a writer, designer, magazine editor and coffee drinker. I daydream a lot and dream of a world where animals rule. Give me a cup of coffee and a good book, and I’m happy. West Coast Way is South Africa’s road trip with the most twists. South Africans and visitors can explore a unique collection of themed routes to do adventure-filled Cape West Coast self-drive trips or a West Coast Holiday. The new West Coast Way “basket” of free routes on offer include the West Coast Way Scenic Route, the West Coast Way Berg Route, the West Coast Way Foodie Route, the West Coast Way Cultural Route – as well as the newly launched West Coast Way Wild Route, all of which are designed to showcase the many attractions and activities that are already on offer on the Cape West Coast and inland areas – but may be unknown to many. For more information on West Coast Way’s #WestCoastTwist and the list of 101 Things to Do on the West Coast visit www.westcoastway.co.za or call West Coast Way on 0861 321 777. 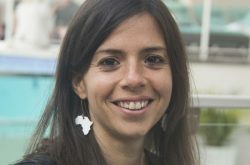 Connect with West Coast Way on Facebook and Twitter at WestCoastWaySA.